Be dazzled by glitzy gems and shining wins when you play this stunning slots game. Play Dazzle Me now and start collecting jewels- and wins! Prepare to be dazzled not only by sparkling jewels but also by huge wins! 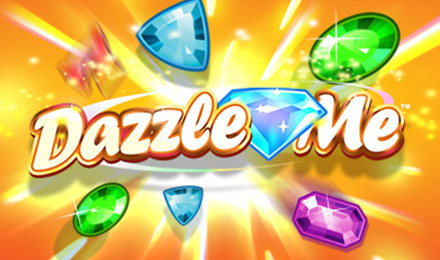 Play Dazzle Me slots and watch the glimmering jewels align to win you cash and prizes. With this gem of a game you can land Free Spins, Wilds, Linked Reels, and much more! Play today and collect only the best quality gems!